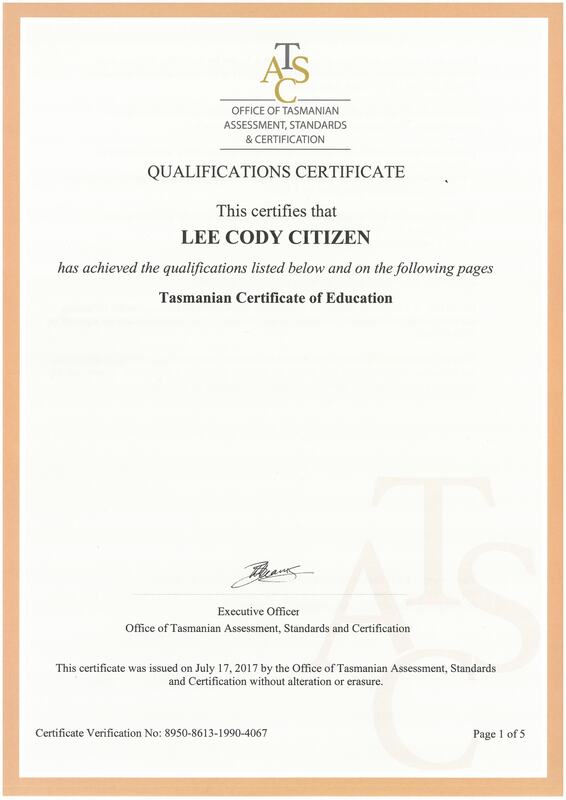 The Tasmanian Qualifications Certificate is a certificate available to all Tasmanians who have gained one or more post Year 10 qualification accredited or recognised by TASC. 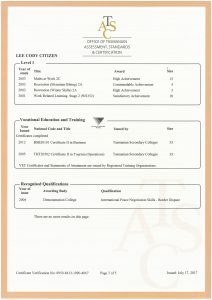 Your certificate can be updated to reflect new qualifications (formally recognised by TASC) that you achieve throughout your career so that it becomes a formal record of your life-long education and training. You will be issued with your initial Qualifications Certificate free of charge in early January, once you finish your senior secondary education (Year 12 or 13). 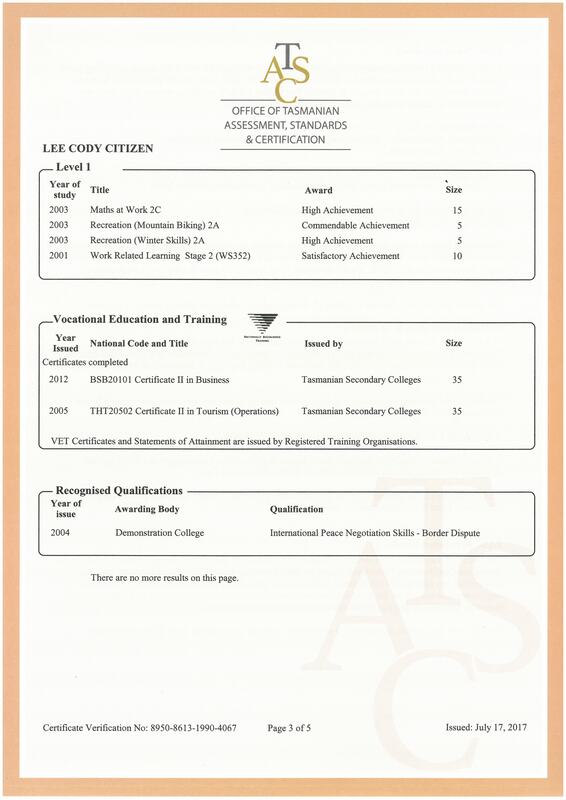 other Australian state or international qualifications that are recognised by TASC. 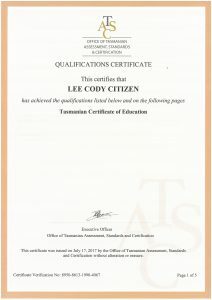 TASC can issue you with a Tasmanian Qualifications Certificate at any time. 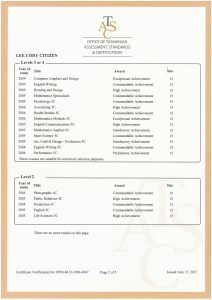 You may be asked to show evidence of having gained your qualifications. 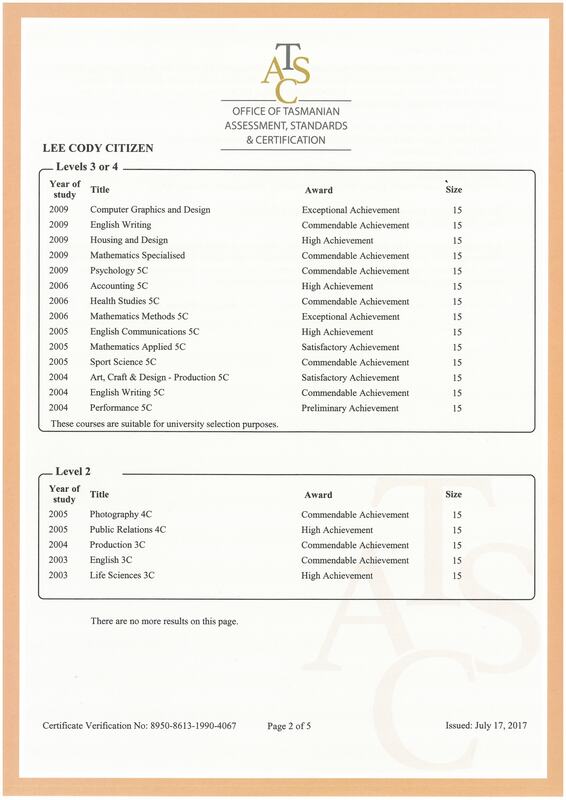 You will be asked to pay a fee each time your certificate is updated and issued.